With less than two weeks to go, the WWE has finally gotten around to making matches for Over the Limit 2011. The card is beginning to take shape with four matches announced this week. 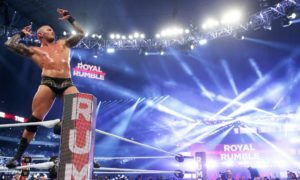 Three WWE championships and a WWE Hall of Fame ring will be up for grabs at the annual WWE event. As reported here on the Camel Clutch Blog, John Cena vs. The Miz in an I-Quit Match for the WWE championship will headline the event. This marks their third straight pay-per-view match and fourth televised match against one another since WrestleMania 27. The stipulation is fresh yet the feud has arguably ran its course. In the current state of the WWE nothing is set in stone, especially when it comes to the RAW main-event. The Triple Threat Match at Extreme Rules was changed a week after it was originally announced. While I know there are still a lot of Miz-amaniacs out there, I don’t think anyone believes that The Miz has a chance of winning this match. Although the same was said about CM Punk when he beat The Undertaker in a Submission Match at Breaking Point 2009 so you never know. 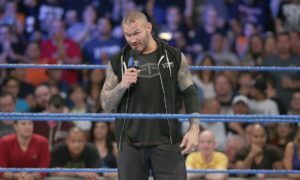 Randy Orton vs. Christian for the WWE world heavyweight title will headline the SmackDown brand at Over the Limit. This is a rematch from last week’s controversial SmackDown match which ended the two day title reign of Christian. The main-event gives WWE pay per view a fresh championship match and unlike Miz vs. Cena, one that will interest a lot of fans. A lot of WWE fans were angry when Christian was booked to lose the world heavyweight title after just two days. I wrote a blog defending the decision by telling fans that they needed to see how this played out. It really wouldn’t surprise me at all to see Christian win with the two of them trading the title back and forth over the course of several weeks. Either way, this one is practically guaranteed to be a great match. On the flip side, in a match practically guaranteed to be a terrible match Jerry Lawler vs. Michael Cole will stink up WWE pay per view once again. To add some spice to this incredibly bland feud, Lawler will put his WWE Hall of Fame ring on the line in an angle straight out of TNA Impact. I think I can speak for most wrestling fans when I say that no matter what happens here that I hope this is the end of Cole in the ring and the conclusion to the feud. This one has definitely ran its course. Finally, Wade Barrett (remember him) will wrestle former Corre member Ezekiel Jackson in the SmackDown co-headliner. Barrett and the Corre get the better of Jackson once again on SmackDown this week which leads me to believe we see a title change in this one. I have never been a big fan of Jackson but like Orton vs. Christian, it is nice to see something different on a major WWE broadcast. As for the rest of the show, nothing is official yet. I think Rey Mysterio vs. R-Truth is a safe bet (or Mysterio vs. R-Truth vs. Alberto Del Rio) as well as Kharma vs. Kelly Kelly or Layla or even both. The rest of the card is a tossup at this point and may not even be decided until the day of the show at this rate. WWE Over the Limit takes place Sunday May 22 from Seattle, WA and airs live on pay per view.